Why Data and why now? When choosing a career, there are safe paths to pursue, and there are risky ones. A career in data offers the best of both worlds. On the one hand, it is a secure choice—demand for data talent continues to increase. With data skills in your toolkit, you’re going to be in demand in virtually any industry. McKinsey has predicted that by 2018 there will be 4 million big data-related jobs and a shortage of 140,000 to 190,000 data scientists (in US only). IBM is predicting that the demand for data scientists will soar 28% by 2020. On the other hand, data is a brave new world. We’re producing massive amounts of data, and that data is making amazing new developments in technology possible. But the methods and strategies we’re having to continually invent in order to give sense to all that data means the future is continually being redefined. The industry moves fast, the skillsets quickly become outdated and those on the data front lines are at the forefront of technological progress. Now, you know that data is getting more and more important, the question is: How do you actually get started with a career in data? Every time you send a text message, type a tweet, post a Facebook photo, click a link, or buy something online, you’re generating data. Considering there are more than 3.5 billion Internet users in the world, and 44 billion connected devices, that’s a heck of a lot of data. Fortunately, as the volume of data being generated has multiplied, so has the ability to collect, organize, and analyze it. Data storage is cheaper, processing power is more powerful, and tools are more accessible than ever to mine the zettabytes of available data for business intelligence. In recent years, data analysis has done everything from predict stock prices to prevent house fires. All that data crunching requires an army of data masters, requiring different sets of skills. Primarily, there are three main job roles within the field: Data Analyst, Data Scientist, and Data Engineer. Data Analysts have a task to analyze the data and provide reports and visualizations in order to Present the insights the data is revealing. The person who supports teams across the company understand the specific queries with charts is the one taking the data analyst role. Data analysts will need a solid grasp of data manipulation (using programs like Excel) and data communication, while applying statistical techniques to practical problems, such as A/B tests and linear regression. Predictive Analytics are data analysts that are more concerned with the business implications of the data and the actions that should result. 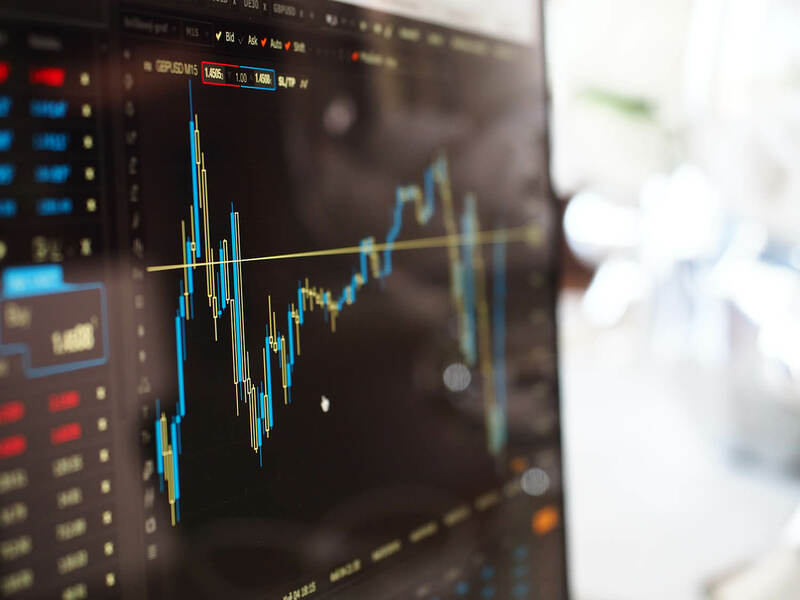 Deciding which project to invest in next or what market to expand next is the task of the business analysts that needs to leverage the work of data science teams and communicate an answer. Data analysts need to have a baseline understanding of five core competencies: programming, statistics, machine learning, data wrangling, and data visualization. Beyond technical skill, attention to detail and the ability to effectively present results and insights from the analysis are equally important to be successful as a data analyst. Data analysts are given direction from more experienced data professionals in their organization. They are the ones managing the quality assurance of data scraping, regularly querying databases for stakeholder requests, and triaging data issues to come to timely resolutions. They also then package the data to provide digestible insights in narrative or visual form. Though data scientists and data analysts have the same mission in an organization—to glean insights from the massive pool of data available—a data scientist’s work requires more sophisticated skills to tackle a higher volume and velocity of data. As such, a Data Scientist is someone who can do undirected research and tackle open-ended problems and questions. Data scientists typically have practical experience in a quantitative field, like computer science, physics, statistics, or applied mathematics, and they have the knowledge to invent new algorithms to solve data problems. Their work can uncover new business opportunities or save the organization money by identifying hidden patterns in data (for example, by discovering surprising customer behaviour patterns or finding inefficiencies in an operation ). A data engineer builds a robust, fault-tolerant data pipeline that cleans, transforms, and aggregates unorganized and messy data into databases or data sources. Data engineers are typically software engineers by trade. Instead of data analysis, data engineers are responsible for compiling and installing database systems, writing complex queries, scaling to multiple machines, and putting disaster recovery systems into place. Data engineers do the behind-the-scenes work that enables data analysts and data scientists to do their jobs more effectively. They will be able to take a business problem and translate it to a data question, create predictive models to answer the question and storytell about the findings. 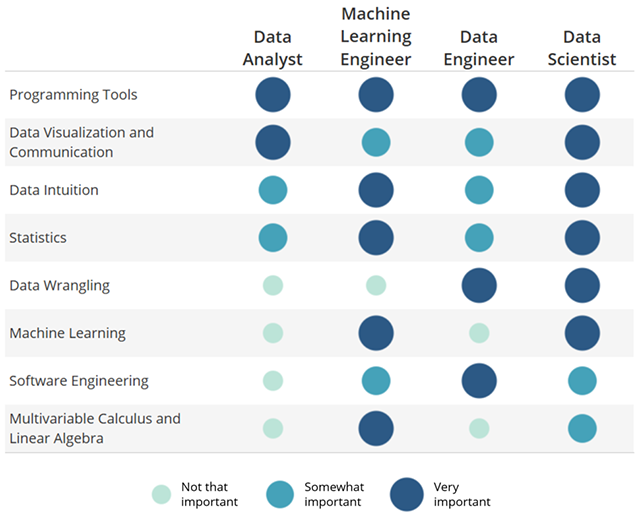 You could say that data engineers require more engineering skills, data scientists require more training in mathematics and statistics, and business analysts require more communication skills and field expertise. Sounds interesting? Go for it! As a first step, learning about the field of data, joining the right community, and getting familiarized with all the career opportunities and skill sets required to get into world of data can help you evaluate the skills you already have and set a goal for where you would like to go next. At Udacity, our goal is to provide our students with the exact skills required for a job in this field through our Data Foundations, Data Analyst, and Data Scientist Nanodegree programs. There are already many Udacity students who have taken this path to achieve a career change. Make sure to get inspired by Udacity students' stories who took the same path of a career change. Stay Udacious and never stop learning! As a Program Coordinator working on Careers, Milica Šapić always keeps her eyes wide open for new job opportunities for Udacity’s students in Europe. Lifelong learning, trees, puppies & getting students prepared for their exciting career adventures are what makes her heart skip a beat!